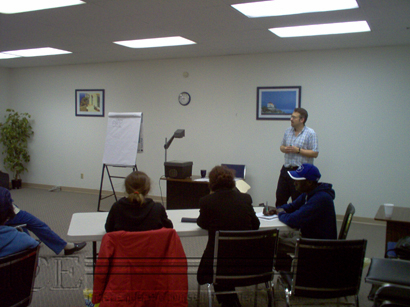 Independent Counselling Enterprises offers a wide variety of training courses and seminars. Program goals: Staff will learn special skills and knowledge that will assist in their care for the person with dementia. Discussion includes how to provide holistic individualized care to the person with dementia in a supportive environment. The goal is that the individual's quality of life will be optimized. This two day course outline includes: Personal and organizational beliefs, Individualized care, family as partners in care, normal changes of aging, disease process, care for persons with end-stage Dementia, effective communication, normalized living, activities, responding to altered Behaviour. Using participant examples, employees work through the 5 stages of the "90 Minute Anger Cycle". This course also includes discussion and individual/group exercises surrounding: primary feelings i.e. fear, pain, etc., the importance of feedback, having someone to confide in, escapes to avoid anger, coping strategies and communicating wants/needs clearly. The employees are advised to spend time discussing the Course content with the individuals I.C.E. serves to assist them in understanding their own anger. Applied Suicide Intervention Skills Training (ASIST) is a two day intensive, interactive course designed to help caregivers prevent, recognize and intervene to prevent the risk of immediate suicide. Through a variety of class discussions, small group exercises and lecture presentations this course provides support workers with a clear understanding of the causes, characteristics, treatment techniques and prognosis of individuals with ADHD, ODD and CD. An emphasis is placed on developing strategies to assist staff in being competent and successful in providing support to these individuals. The goal of the workshop is to improve the knowledge of the support workers and increase the quality of service available to the individuals accessing service through I.C.E.. This course explores the various Pervasive Developmental Disorders encompassed by the Autism continuum through lecture, video presentations, and group exercises. Support workers are assisted to maximize opportunities and learning techniques for the individuals that I.C.E. serves. Strategies to deal with behavioural challenges are also discussed with an emphasis on empathy and understanding the challenges of living with this disability. The purpose of the session is to learn the best way to assist the individuals we support to achieve maximum independence through development of clear and achievable goals followed by a plan to achieve those goals. To assist with meeting the goals and objectives in the Individual Service Agreements. To complete monthly and annual progress reports from data collected for the purpose of outcome measurement. This training is for everyone. Managers, coordinators, team leaders and field staff. The Client Risk Management workshop intent is to provide agency employees a greater understanding of client risk to ensure provision of safe and consistent quality care. The objectives of the workshop are to increase awareness of issues and challenges impacting the health and well-being of clients, to better equip employees to identify potential hazards/risks, to increase knowledge regarding agency Policy and practice to manage/mitigate client risk/hazards, and to inform employees of the need to continuously review strategies in place to ensure the mitigations in place are successful. The below workshops are designed to meet the needs of our clients and to build their understanding in the areas of Abuse Prevention and Food Safety. The workshops are both 1.5 hours in length and can be presented by either the trainers in the office in PowerPoint format or in the homes by program staff with handouts. To understand that everyone has rights. To understand different types of abuse. To understand how to lower the risk of abuse. To understand when and how to report abuse. To understand how to prevent illness caused by poor food preparation and poor hygiene practices. To increase client awareness/understanding of healthy nutrition and eating practices. Going out in the community is not the same as being included in the community. Community Inclusion is about living full lives, about our abilities and gifts and how to share them with others, about meaningful connections. This workshop introduces us how to help people explore the best examples of what they want more of toward creating meaningful community connections, starting with the whole person, offering choice, and creating momentum. This half-day workshop is designed to assist employees to gain knowledge and to develop effective skills in dealing with conflict. Participants will learn to identify the common causes or sources of conflict and to understand possible responses to conflict. In addition, participants will be taught to identify ways to prevent conflict in the workplace and to describe conflict management techniques using the guidelines for conflict resolution and the Conflict Management Model. Tools and knowledge about how to provide person centred supports. This training is for everyone. Managers, coordinators, team leaders and our very important field staff. This two-day workshop focuses on intervention techniques for individuals with challenging behaviours. The goal of the course is to teach staff to intervene in a way that provides for the best care, welfare, safety and security to all who are involved in a crisis situation. The course provides a balanced blend of theory combined with practical applications, including staff role-playing "real life" scenarios. Personal safety techniques are taught as well as an introduction to restraints, including how and when to use them. The course includes a review of the agency's policy on Behaviour intervention and an introduction to planned responses. Through classroom lecture, exercises, and in-depth discussions, this presentation will assist staff at all levels of the organization to maintain the above standards of excellent service delivery in keeping with I.C.E. 's mission and philosophy. Developmental Stages provides an overview of the physical, cognitive and socieomotional growth of children and teens. Through half a day of lecture, group work, discussion and video this class reviews average child development as well as how certain disabilities affect development. The final portion of this class will provide numerous ideas of how to interact with children and their specific disability. The intent of this workshop is to assist support workers in the area of documentation and reporting practices in the field of human services. The course work will concentrate primarily on critical incidents, logbooks, and contact notes with a brief introduction to client goal sheets and monthly meeting minutes. Through this workshop participants will experience interesting large and small, group discussions, critiquing, and class exercises, resulting in well-developed documentation skills. This revised workshop takes into account the underlying principles of CET standards and any changes in regards to I.C.E. documentation and / or practices that have recently taken place. The ability to communicate effectively is critical to your success at work as well as in your personal life. Discover ways that you can improve your communication skills. Fetal Alcohol Spectrum Disorders is a comprehensive look at the causes and behaviours associated with person's suffering from a form of fetal alcohol. This is an interactive workshop that uses real life examples, placing an emphasis on separating behavioural problems associated with the disorder from the person's personality. Alternative accommodations explored in depth. This course generally requires 3-4 hours. A Foundations facilitator from I.C.E. will support participants learning. In addition, knowledge will be acquired through home study, weekly exercises, and examination testing upon the completion of each module. This course explores basic aspects of Hoarding Disorder through lecture, presentation, and group exercises. The intent of the workshop is to provide staff with some knowledge about hoarding to assist in better understanding the disorder and in working more effectively with the individuals they support. Strategies in communicating more effectively and to deal with behavioral challenges are also discussed with an emphasis on empathy and understanding the challenges of living with this disorder. This workshop covers the step by step process used to help support individuals with developmental disabilities to understand death; cope and heal with the loss of someone they loved and cared about. ICE instructors in every region of the agencies operations have been certified by Mental Health First Aid Canada. The course is 12 hours in total over the course of two days. MHFA is provided to enhance participants knowledge of mental health problems and their ability to help someone who is in a mental health crisis. MFHA students are taught to recognize the signs and symptoms of mental health problems and provide the first step to help the individual and guide them to more advanced professional help as appropriate. You will learn about Substance Abuse, Mood Disorders, including depression and bipolar, Anxiety Disorders, including generalized anxiety disorder, panic attacks and OCD. Also covered is Psychotic Disorders where we will speak about Schizophrenia. Mental Health affects 1 in 3 people; this could include friends, coworkers, family and clients. Taking MHFA will help you to break down the stigma around mental health and to deal with mental health issues in an effective, empathic manner. MISSION POSSIBLE @ Work® is an innovative traffic safety program focusing on the employee. It was developed by the Alberta Motor Association as a means to reduce motor vehicle collisions and the resulting injuries, fatalities and associated societal costs. Develop an increased awareness and understanding of the traffic safety issues in Alberta. Create a shared responsibility for traffic safety. Gain an understanding of the MISSION POSSIBLE @ Work Program; the content and delivery method, and how this program is part of the solution. Participants will understand the difference between aggressive, hazardous and road rage behaviours. They will become more aware of personal hazardous and aggressive driving behaviours, associated dangers and possible sources. They will be encouraged to adopt strategies to prevent aggressive driving behaviour in themselves and offer ways to cope with these behaviours in others. Participants will learn how distractions while driving, interfere with the driving task and are incompatible with human information processing. They will understand the relationship between distracted driving and improper driving actions. Participants examine possible causes for the rising incidents of distracted driving, identify personal distracters and develop strategies to avoid distractions while driving. Participants will understand what speeding means and recognize the compounding effect of speed on driving ability and driver error. They will have increased awareness of the risks and consequences of speeding and how speed affects the severity of collisions. Participants will understand the motivation to speed, the effect of speeding on travelling time and be encouraged to make a personal commitment to change their behaviour. Participants will be made aware of winter collision statistics and recognize the hazards of winter driving, including environmental, road and vehicle conditions. They will have an increased awareness of winter driving skills, potential hazards, stopping distances and precautionary measures for winter driving. Participants will understand how skids happen and how to prevent them. Participants will recognize the signs of fatigue and its effect on driving. They will be aware of fatigue-related collision statistics. They will examine compounding factors and other risk factors associated with fatigue-related driving and crashes. Participants will understand the danger and consequences of driving fatigued, as well as ways to avoid driving while fatigued. Participants will be able to recognize characteristics and behaviours of wildlife commonly seen on/near roadways. They will gain an understanding of what happens when a vehicle collides with wildlife and other secondary outcomes. Participants will increase their awareness of potential outcomes and learn how to prevent encounters with wildlife. They will recognize the challenges of night driving and the role of the vehicle in preventing collisions with wildlife. Finally, participants will learn how to minimize property and personal damage, and how to respond after a vehicle-wildlife collision. This workshop is designed to provide insight into the many challenges and difficulties that a person with OCD faces daily. It challenges each of us to try to understand and to find new ways to improve the ways that we communicate with these and provide assistance to these individuals. The intent of this workshop is to learn how to address situations and/or behaviours of concern within the parameters of Creating Excellence Together (CET) standards and I.C.E. policies and practices. The underlying principles of this workshop are to focus upon the individual, and to develop positive supports that are unique to the individual's needs. The course is designed to provide the learner with a comprehensive introduction on post traumatic stress disorder. Participants will learn about trauma, how it may be acquired, and common symptoms exhibited by those affected with the disorder. The course also provides the learner with an introduction to related mental health disorders of paranoia, hallucinations, and delusions. This portion of the course focuses primarily on safe and effective practices to best support individuals who may be currently experiencing either high levels of paranoia, or experiencing a hallucination or delusion. After taking the course the participant should have the confidence, knowledge and basic skills necessary to support an individual with any of the above mental health conditions. This course explores this rare genetic disorder and, through PowerPoint presentation, lecture, and participant discussion, attempts to understand and provide strategies for support. Strategies to deal with behavioural challenges are also discussed with an emphasis on empathy and understanding the challenges of living with this disability. Escalations as a means of communication. When responding to difficult clients, how do we handle our own emotions? What are the different stages of an escalation and what techniques can we use to diffuse an individual with challenging behaviours? When do we think about our own personal safety and well-being? Through lectures, communication exercises, class discussion, and DVD, an understanding of a mirroring process between staff and client begins to emerge. The course also includes personal safety techniques. This workshop is a half day session to enhance staff understanding of the Health and Safety Program at I.C.E.. This includes but is not limited to discussions on the importance of identifying hazards, working safely and staff awareness of the Health & Safety responsibilities in the workplace. Designed to offer a thorough introduction on substance abuse and drug addiction, this workshop will cover the science behind addiction, a primer on commonly abused substances(street drugs and prescribed) and the physical and mental affects those substances have on the user. Additionally, the participant will learn signs and symptoms of abuse for each major substance discussed and what steps to follow if substance abuse is suspected or discovered at a client residence. This workshop brings forth some of the contributing factors of depression particular to persons with developmental disabilities. Stages in the cycle of depression are identified as well as the suggested methods of intervention within each stage. The purpose of this workshop is help employees recognize signs and signals associated with depression and/or suicidal Behaviour, and equip them with the skills to intervene in an appropriate manner. The ability to organize can be learned, practiced and perfected. This workshop will show you how. Plan to attend and learn how to meet deadlines, gain more control over your time, get more done in less time everyday. In addition, you will learn ways to add personal value time and make your life more meaningful. This workshop explores the various symptoms and challenges that an individual with Schizophrenia may experience as well as effective strategies to provide successful support. Topics include a description of possible symptoms a client could experience, treatment options available and valuable information in how to promote a positive and supportive role. This presentation emphasizes the importance of a clear understanding of this disability through class discussion/exercises, lecture, case study examples, with a brief sound clip illustrating from the client's perspective. The above briefly describes some of the training opportunities available to all I.C.E. employees and independent contractors.